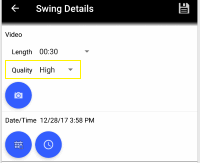 How do I edit details about a recorded swing? 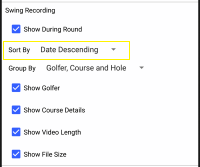 How do I delete recordings from the list? 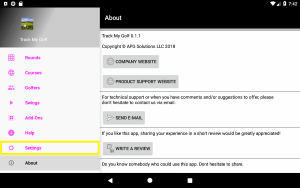 Next tap the menu button in the upper right corner, then tap the "Delete" menu item. How do I replay previous recordings? Scroll down to the "Swing Recording" section and check or uncheck the Show During Round checkbox. 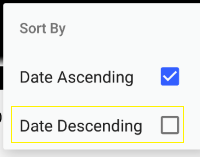 From the manage page, tap the menu button in the upper right corner, then tap the "Sort By" menu item. 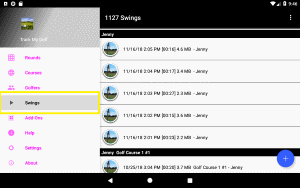 How do I change how the list of recorded swings are grouped? 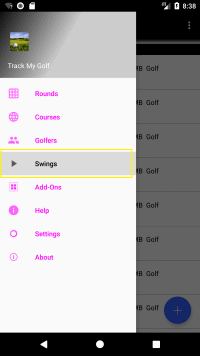 From the manage page, tap the menu button in the upper right corner, then tap the "Group By" menu item. 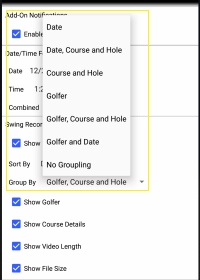 Tap the row with the grouping you would prefer. 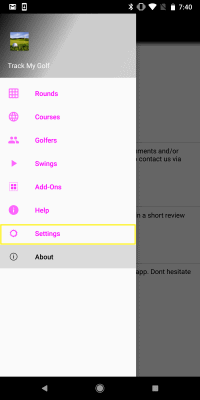 From the manage page, tap the menu button in the upper right corner, then tap the "Show" menu item. 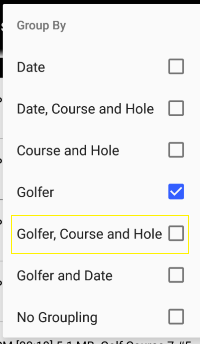 Next check or uncheck the Golfer checkbox. 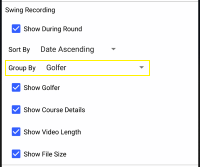 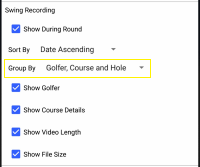 Scroll down to the "Swing Recording" section and check or uncheck the Show Golfer checkbox. Next check or uncheck the Course Details checkbox. 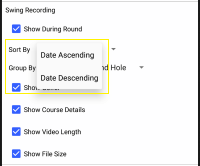 Scroll down to the "Swing Recording" section and check or uncheck the Show Course Details checkbox. 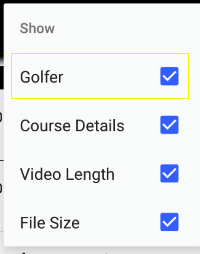 Next check or uncheck the Video Length checkbox. Scroll down to the "Swing Recording" section and check or uncheck the Video Length checkbox.